Should We Stop Testing On Animals? Many argue that we should end medical testing on animals because it's cruel, but the Guardian's Kathy Archibald makes a different argument: that it's futile. My answer to the question "If a treatment works on rodents, will it cure us?" is "probably not, based on the weight of evidence to date." Cancer is a good example: former director of the US National Cancer Institute, Dr Richard Klausner lamented: "We have cured mice of cancer for decades, and it simply didn't work in humans." 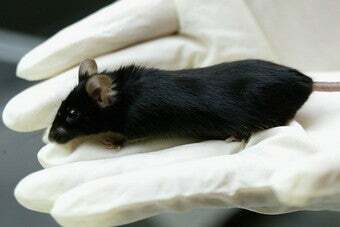 AIDS is another: while at least 80 vaccines work in animals, all 80 have failed in human trials. Similarly, every one of more than 150 stroke treatments successful in animals has failed in human testing. A study in the British Medical Journal found that animal tests accurately predict human response less than 50% of the time. when you go back and look at how many compounds fail before they ever get to humans, [it's clear] animals do play a really important role in at least giving early signals - and it's a constantly evolving science. Many experimental compounds are too uncertain to be legally tested on humans, and while many would say it's unethical to test these compounds on animals, these people also have to acknowledge that without animal testing we might not have many medicines we have today. Penicillin might never have been mass-produced without initial testing on mice, and many vaccines have their origin in mouse research. There are alternatives to animal testing, such as computer modeling. However, says Trull, "people in the research community will be the first to tell you they still don't know enough about how the complex living organism works in order to duplicate it." Until we can make computerized humans, the most viable alternative to animal testing will be humans themselves, and anyone who wants all medical tests done on people should be prepared either to risk his or her life for others' health, or to accept that many disease that plague us today will not be cured. Is it ethical to value a mouse's life less than a human's? Not necessarily, but it's a tendency we all have, especially when our loved ones are sick and need treatment. That said, much animal testing (one source claims 94%) is done for cosmetic and not medical purposes. According to Scientific American, the Draize Test, in which "rabbits are placed in restraining stocks and their eyelids are held open with clips-in some cases for days at a time-to keep them from blinking away the test solutions," is still in use by some companies. The rabbits are usually killed after experimentation. Animal-rights campaigns have reduced the popularity of this scary Clockwork-Orange-style test, but it seems reasonable to ask that no cosmetic testing be done on animals, especially now that "considerable information has already been yielded and recorded from past testing." It's one thing to kill a mouse to save a human — it's another to blind a rabbit with lipstick.